J.D. Salinger was born on January 1 1919, in New York City. Most people know him as the author of The Cather in the Rye after writing Catcher he wrote Nine Stories. The nine short stories include "For Esme-With Love and Squalor". From 1942- 1944, Salinger fought in World War ll. When he returned home, he joined the New-York University for a year, then he left to fight in Europe. Once he came back home, he tried to go to college again at Columbia University. There is where he met his professor Whit Bernett who changed his life, he was a great teacher to Salinger. 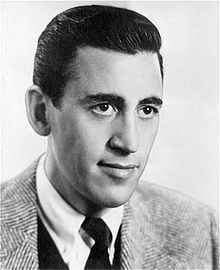 Bernett saw how talented Salinger was at writing and encouraged him to continue writing. After going to Columbia for a short time he was back in war, during his free time in the battle he would write. He was stationed in Pear Harbor, and he started to write "The Catcher in the Rye" while in this battle. It was then published in 1951. Afterwards, Salinger no longer wanted the attention he was given. He went off and bought and large piece of property in New Hampshire. There he tried to not make any contact with the public. In 1924 Salinger's had Hapworth published, from then on his writings were not published. J.D. Salinger later pasted away on January 27, 2010.